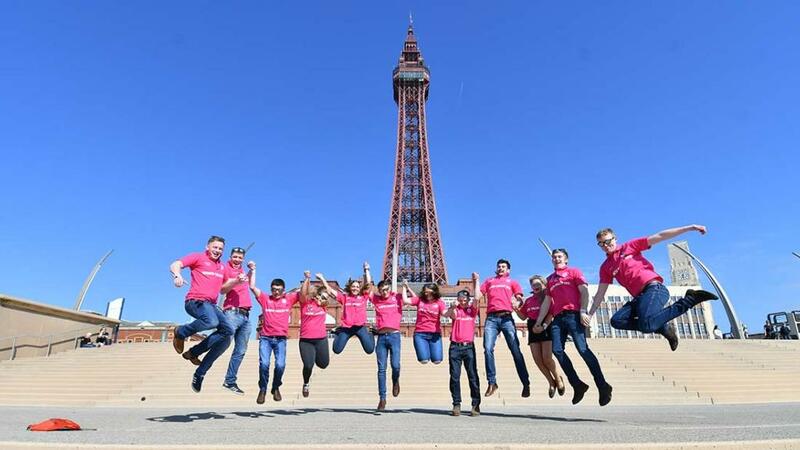 The 50-strong club, based in Yorkshire, is sending 15 of its members to the Convention in Blackpool this year, to enjoy a weekend of VIP treatment. The YFC was chosen from all of NFYFC’s competition entries as judges were impressed with their commitment to not only their local community but wider rural communities too. The enterprising YFC recently launched a rural crime busting initiative using WhatsApp groups to help rural communities work together in reporting suspicious activity in the local area. The Fields of Vision project, which is running in Worth Valley and also now in Kent, was shortlisted to win Rural Youth Europe’s Rural Youth Project 2017 and were announced runners up in a Facebook voting poll. The Yorkshire club’s Fields of Vision project was launched in 2017 following a spate of crime in their local area. The club set up a local WhatsApp group to help be the eyes and ears of the countryside and to put a stop to rural crime. The plan is to roll the scheme out nationally and have a network of WhatsApp groups operating. The club also has a Fields of Vision business that produces land art for organisations. This started when the YFC did 12 artworks for the Tour de France festival in 2014 and went on to win a competition for a 80 x 65m Branwell and the Bicycle artwork installation, which they created for the 2017 Tour de Yorkshire. Enterprising ideas: Award winners for land art, which is now a money-making business, alongside a wedding marquee hire business!